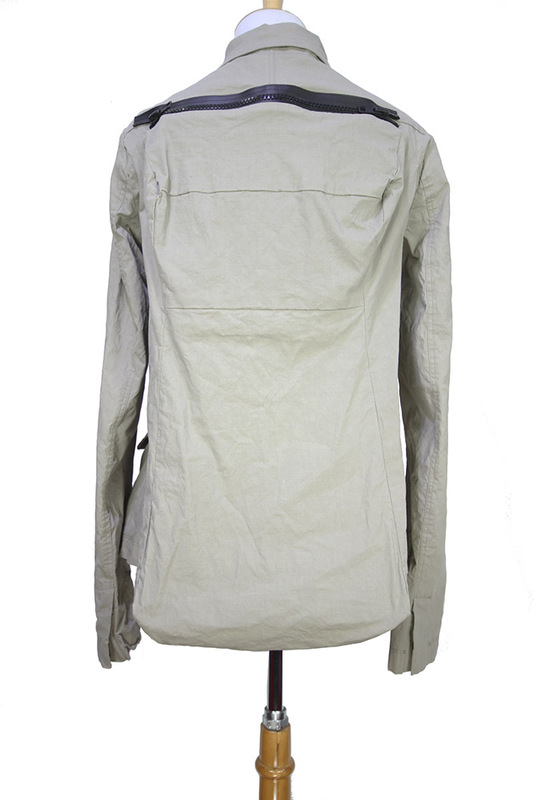 Rundholz Mainline Collection stretch fabric, 7 button jacket in 'desert' colour. Small collar. 2 pockets with flaps. Vented cuffs. At the rear there is a large black zip that opens up what is effectively a rucksack. There are 2 section inside the rucksack, one a smaller pocket at the top, the other extending down to the hem of the jacket. Beautiful jacket that matches the skirt in the same fabric.